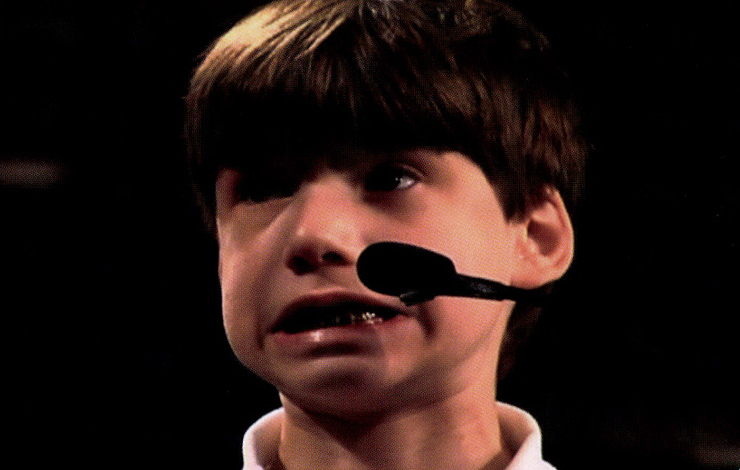 Jeff Blitz and Sean Welch created new fans for the National Spelling Bee with their thrilling documentary Spellbound, which now ranks fifth on the list of all-time documentary theatrical box office grosses. The filmmakers recently announced plans to form The Spellbound Foundation, which will provide educational scholarships to the students profiled in the film. 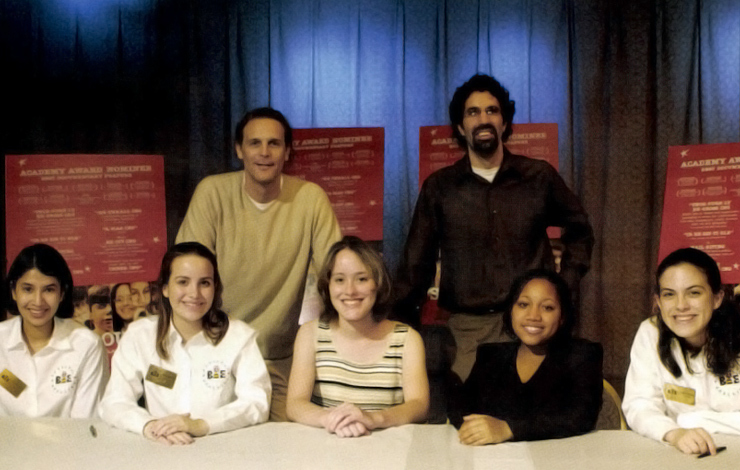 A large part of the doc's success comes from the connection the audience feels with the eight spellers and their stories. The audience roots and cheers, holds its breath when a child gets a particularly challenging word and cringes when someone is eliminated. Several people felt so moved by what they had seen on screen that they contacted Welch and Blitz about contributing money to a foundation, if one existed, in order to help the kids continue their education. Says Blitz, "We'd always hoped that something like this might happen but we never really planned for it. Just releasing the doc and keeping on budget was enough of a challenge for us. Creating a foundation to go along with Spellbound was something we needed outside inspiration and help with." Luckily, that help came along in the form of an email from a recent New York University Law School graduate. He had just started working for a prominent firm in Manhattan, and agreed to take on The Spellbound Foundation as his first pro bono project. Welch then received an email from a woman from Washington, DC, who had over 20 years' experience running foundations and nonprofit organizations. "I happened to be visiting DC when I got the email," Welch recalls. "We met and I told her that the foundation was taking baby steps, but needed someone who would know how to really move it forward." The woman agreed to help, and they are now in the process of forming a mission statement. Ideally, the foundation will be up and running in mid-December 2003, just in time for the film's broadcast debut on Cinemax on December 16. While the filmmakers cautioned that there are no guarantees, and plans for the foundation are still in the "possibly" stage (which is why the names of those helping to organize are not mentioned in this article), Blitz remarked that seeing the idea go from an abstract hope to an actual possibility "was thrilling for us, one of the very best things to have come out of the film. As filmmakers, you always need to try to maintain a certain distance from your subjects—not a complete distance, but a certain distance nonetheless. It was heartening to know that viewers of Spellbound, who are under no such obligations, felt inspired to bridge that gap and help the kids who need help." The foundation will be open to all spellers in the film on a need basis. All of the families will be invited to apply, though they are under no obligation to do so. The foundation board will evaluate each student's situation based on his or her application and the financial aid package already offered by his or her college. Ideally, the foundation will be able to support not just an undergraduate education, but secondary degrees as well, thus helping each student to take his or her education as far as possible. Currently, seven children are enrolled in undergraduate institutions; the remaining one is still finishing high school. Funds will come purely from donations. Depending on how much money is generated, the hope is to be able to benefit not just the eight subjects of the film, but future spellers who are in need of aid as well. Currently, there are no plans for profits from the film to be donated to the foundation. At the time of publication, the film had generated close to $6 million at the box office, but actual profits had not yet been determined. Both Welch and Blitz are currently planning to serve on the board of the foundation. "This is something of which Jeff and I are extremely proud," says Welch. "Spellbound is truly a film about the celebration of education, the American family and the American Dream. The Spellbound Foundation will work directly in concert with each of those themes." Adds Blitz, "The American Dream that people think of is usually imagined as a solitary venture: people picking themselves up by their bootstraps. But the real story is often how communities band together to help their members achieve. That's the dream that I think the film and the foundation speak to." Tamara Krinsky is associate editor of International Documentary.